Most the photographs here were taken at local wildlife parks namely Cotswold Wildlife Park, London Wetland Centre, Paradise Wildlife Park and even my back garden. The photos of the Deers were taken in Richmond Park in the London Borough of Richmond upon Thames. It was created by Charles I in the 17th century as a deer park. The largest of London's Royal Parks, it is of national and international importance for wildlife conservation. The special grassland habitat depends on grazing and the parkland trees have a distinctive 'browse line' as the deer eat all the leaves and twigs growing below about 1.5 metres. Deer grazing also prevents tree seedlings from growing, keeping the grassland open. During the autumn the deer 'rut' (breeding season) takes place. 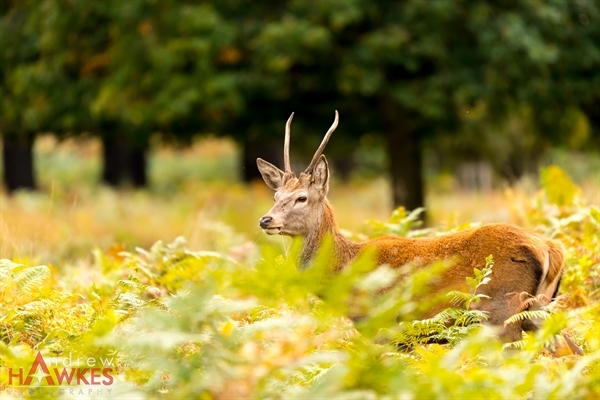 The Red stags and Fallow bucks compete for females (known as hinds and does respectively). At this time, the large males roar, bark and clash antlers in a spectacular way in an attempt to fight off rivals and attract as many females as possible. The young are born May - July and are hidden by their mothers among the bracken and long grass. The young are very vulnerable at this time and their mothers, being sensitive to disturbance, will defend their babies.